Security Memetics: what's good for the goose is impossible for the gander? what's good for the goose is impossible for the gander? 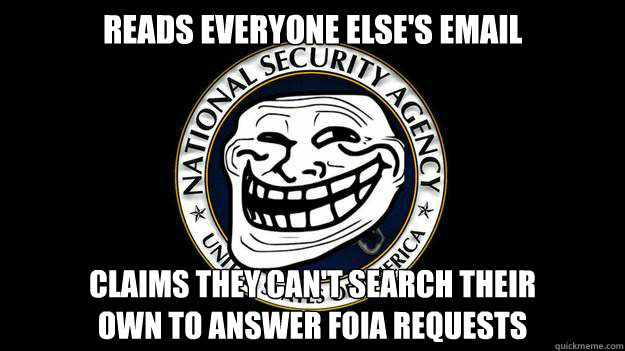 it beggars belief that the NSA, with all their equipment and all their funds for handling massive amounts of email and other data can't search their own email. if true then it suggests the only thing necessary to protect email from foreign spies is to do whatever it is the NSA is doing to defeat their own search capability.